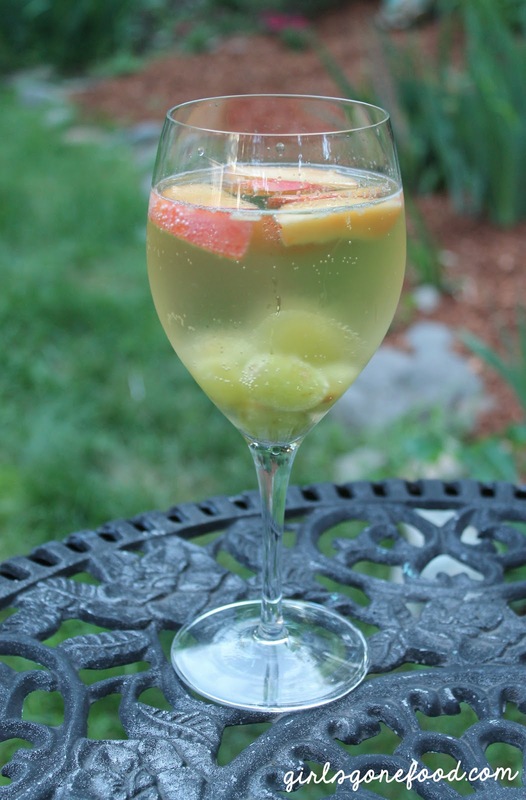 Yes, I FINALLY have a recipe posted...and not just any recipe....a SANGRIA recipe. I can imagine smiles all around! I realize that you have probably been bored to tears with my life these past few posts..so this is my apology. 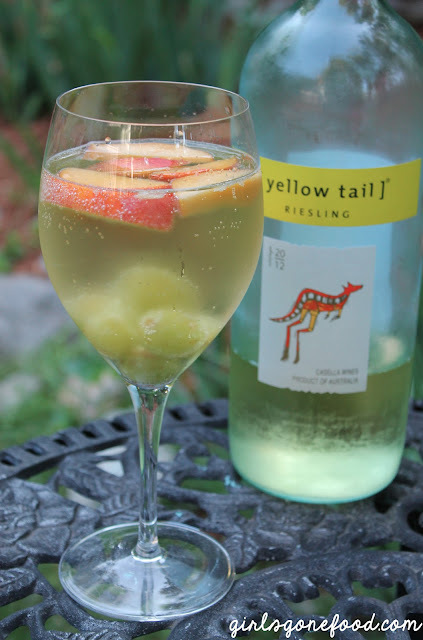 This is an AMAZING party recipe because its fast, easy, simple, and delicious!! 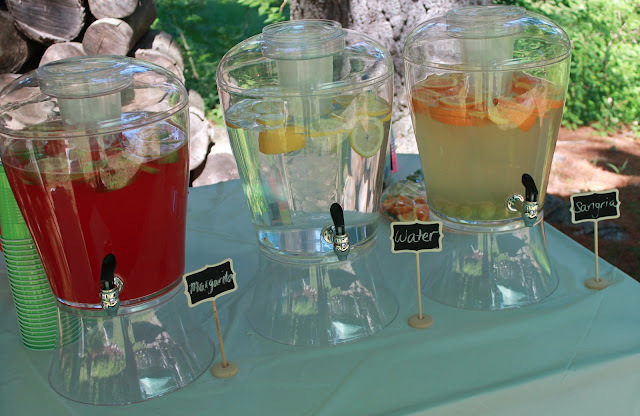 I made it for my graduation party last Saturday and served it in these large drink dispensers. You can check out the drink dispensers: here. They are really awesome...probably my most favorite purchase ever. They are just so darn pretty and functional! Along with the sangria, I served lemon water and margaritas. You can find my margarita recipe here. Even if you don't want to make a big batch of the sangria like I did, you can easily make a single serving! So it works either way! Mix all the above ingredients together and enjoy!! For the 3 gallon dispenser, I ended up using 2.5 bottles of wine and 7 or 8 cans of fresca.